A new report by MYOB says New Zealand’s tech sector lacks gender diversity and will need to do more to build a more inclusive industry. Accounting and payroll software firm MYOB warns that the number of women working in New Zealand tech sector is likely to decline over the coming years unless significant, industry-wide action is taken to improve gender diversity. The “Women in Tech” report released by MYOB today sheds light on the New Zealand tech sector and reveals how it must improve gender diversity in the workplace. MYOB general manager Carolyn Luey says the report shows just how far behind the tech sector is compared to the rest of the country. “In recent years, New Zealand has made some significant strides in closing the gender gap – particularly in regard to health, education, the economy and politics,” says Luey. However, Luey says the same cannot be said for the local tech sector – whose workforce is predominantly male. “Just 23 per cent of the New Zealand workforce is female,” says Luey. “While we fare better than many other countries, we’re a long way away from complete gender parity. 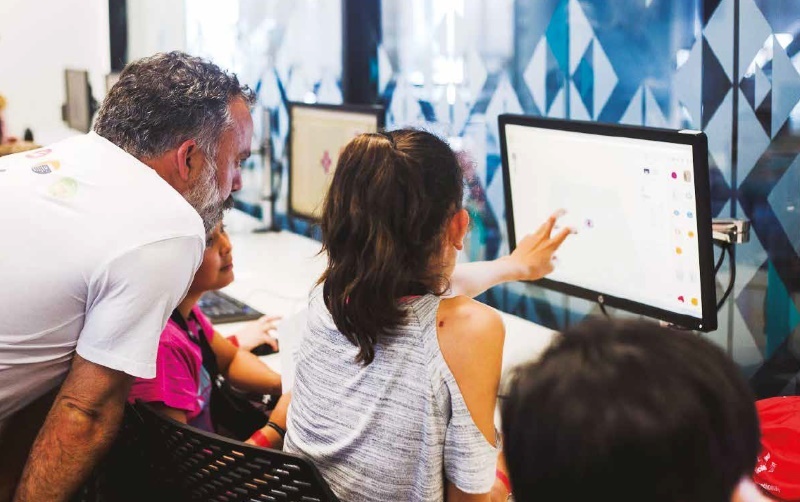 The MYOB Women in Tech report also shows that men are twice as likely to study ICT at a tertiary level, and almost five times more likely to study engineering and related technologies. Recent data from the Ministry of Education covered in the report reveals a similar trend. In 2015, there were only 1,445 females studying ICT, compared to 3,160 males, and only 1,675 female engineering students compared to 7,580 male students. “This is a major problem for our tech sector – particularly while the country faces a major skills shortage,” warns Luey. The new MYOB report also features insights from women in the New Zealand tech sector who are working to implement positive changes. Dr Mahsa Mohaghegh, university lecturer and founder of networking and events programme She Sharp, is one such women leading change but says New Zealand lacks female role-models in its tech sector. “You can’t be who you can’t see,” she says. According to Mohaghegh, this is partly attributed to a perception issue – a deeply engrained cultural view of what the industry is, who works for it and who should study to be a part of it. “The fact that just three per cent of fifteen-year-old girls want to pursue a tech-related career in New Zealand shows us that we need to be targeting young females at an earlier age. “We have to be teaching computer science, engineering, problem-solving and computational thinking from primary school,” says Mohaghegh. The MYOB Women in Tech report reveals how New Zealanders can help to solve the industry-wide problem. MYOB is raising awareness of gender equality within its own organisation and its network of tech influencers by starting conversations, addressing unconscious bias, hosting events and building partnerships, says Luey. “Internally, we’ve accelerated the representation of women in junior and management roles – and today, more than 40 per cent of our entry-level engineering roles are held by women. “If we balance the gender scales today, we can set the next generation of tech leaders – male and female – up for unprecedented success,” she says. MYOB, in partnership with speaker series MUV Talks, will be launching the report at a special event in Auckland tonight, and is expected to draw 100 attendees who will hear from seven women on how they are shaping their success in the local tech sector. Download the Women in Tech report here or learn about the MUV Talks report launch event here.